Panasonic NV-3120 COLOR EIAJ Videotape Recorder . This is a basic color EIAJ VTR. Able to record in either BW or color and play back the same. 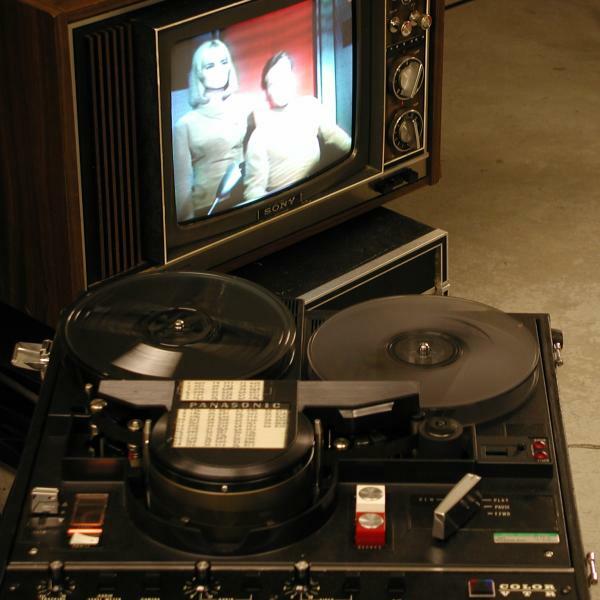 Sixty minutes recording time on a 7" diameter reel filled with 2400 feet of 1 mil standard bias half inch videotape. Fully interchange compatible with all VTRs conforming to the color EIAJ specification. This particular machine is in excellent, fully operational, condition. In the second photo, you can clearly see this machine playing back my favorite 25 year old color tape. (Star Trek is Copyright of Paramount Corporation) The image on the monitor is not really as washed out as it appears, it just photographs that way. I turned the flash off in the second photo to preserve the image on the CRT and to get some action blur on the reels. 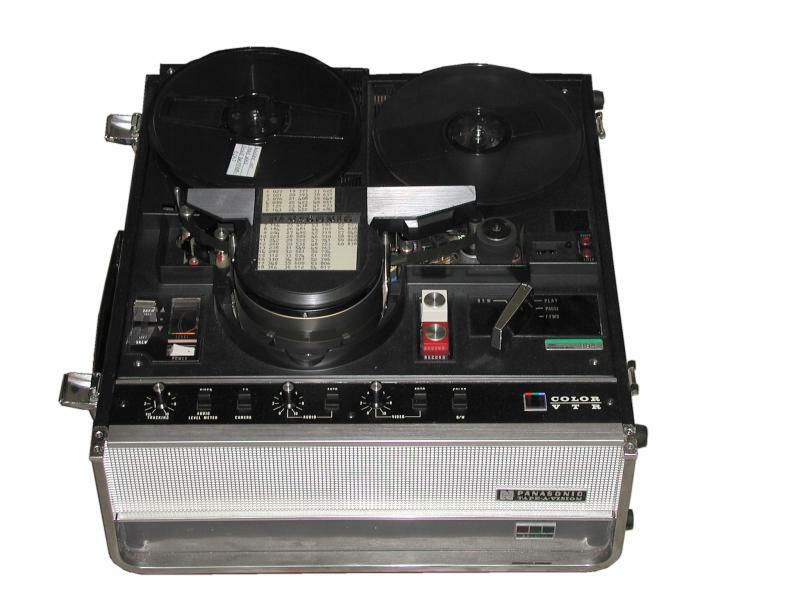 The labels that are attached to the top of the head drum appear to be a tape counter to minutes and seconds look up table, placed there by the original owner. NEEDED: Operators' manual for the Panasonic NV-3120.